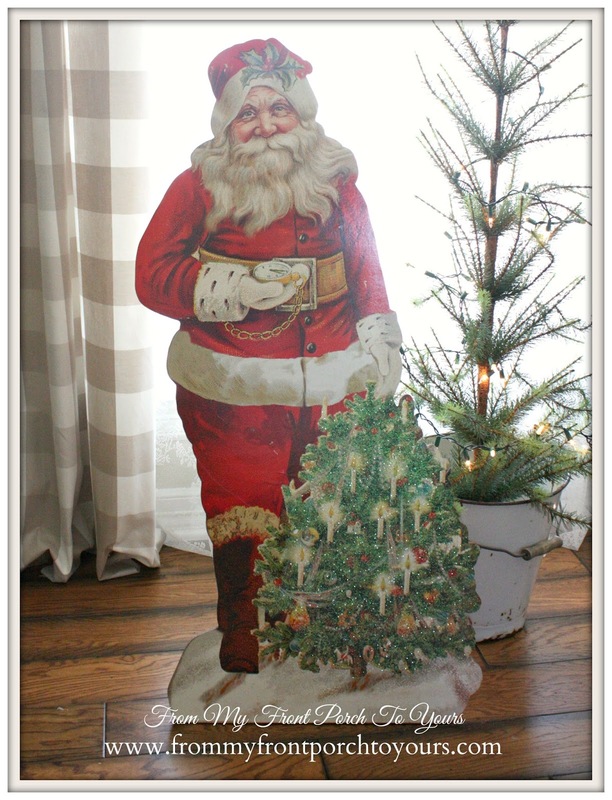 Last month when I saw this large Vintage Santa Cutout over on Antique Farm House I knew I had to have him so in my cart he jumped. When he arrived he was just as great in person but I felt needed something more. 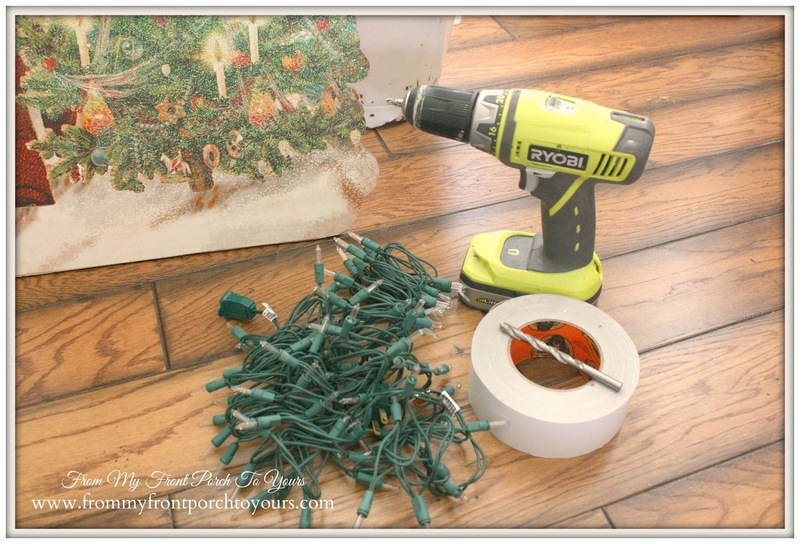 The Christmas tree I knew could come to life with a few simple steps. To bring the tree to life all I needed was a string of white lights, a drill, Gorilla tape, a small screw, and a 5/16 drill bit. First thing I had to do was to take off the stand on the back of the cutout. Then I used a small screw to make pilot holes for the large drill bit. 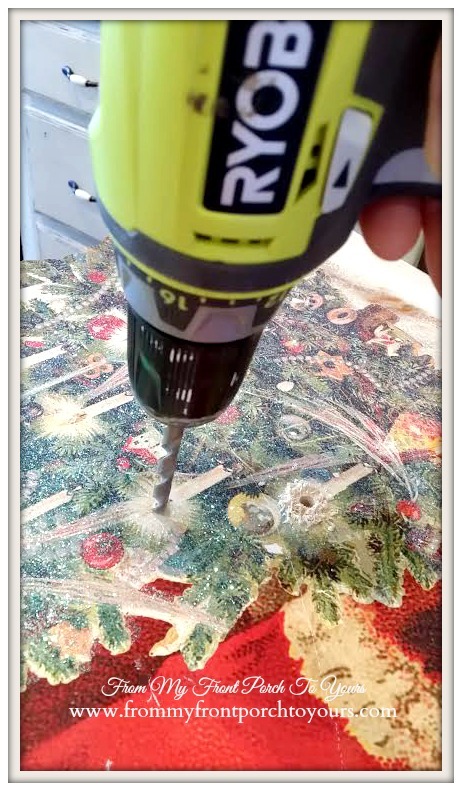 I was afraid if I started out with just the large drill bit it would tear up the design. 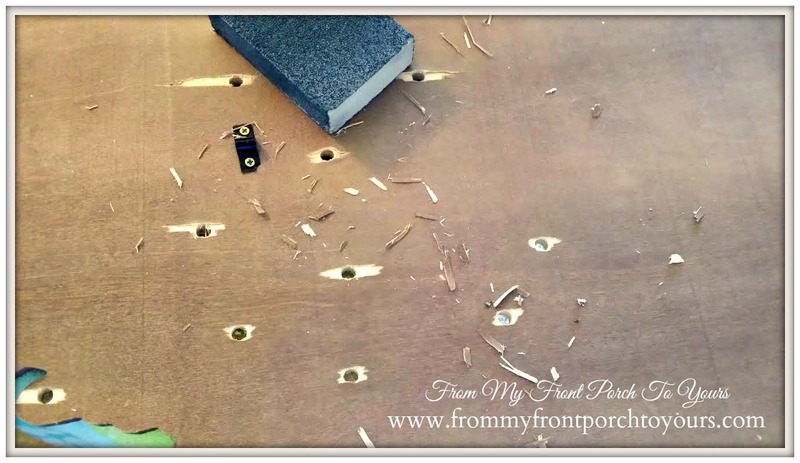 The pilot holes made it very easy to drill the full size holes. 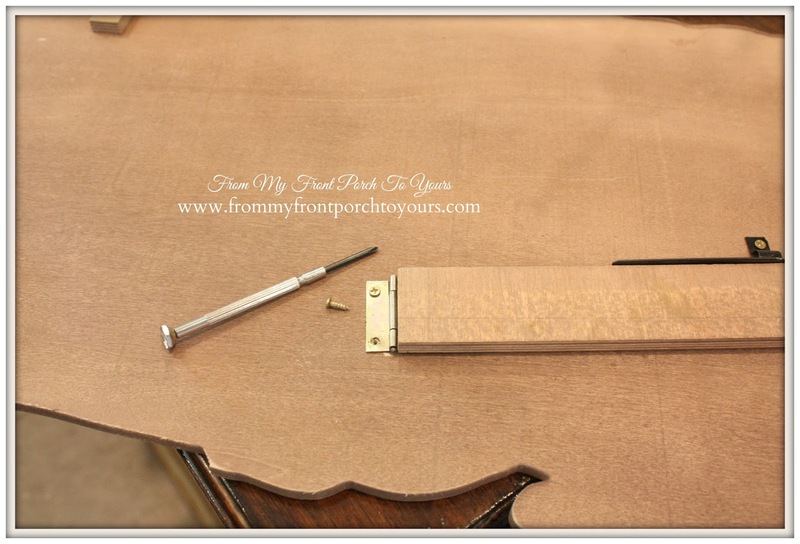 Next I flipped the cutout back over and used a sanding block to get rid of any splintered wood. The next step was to configure the light layout. 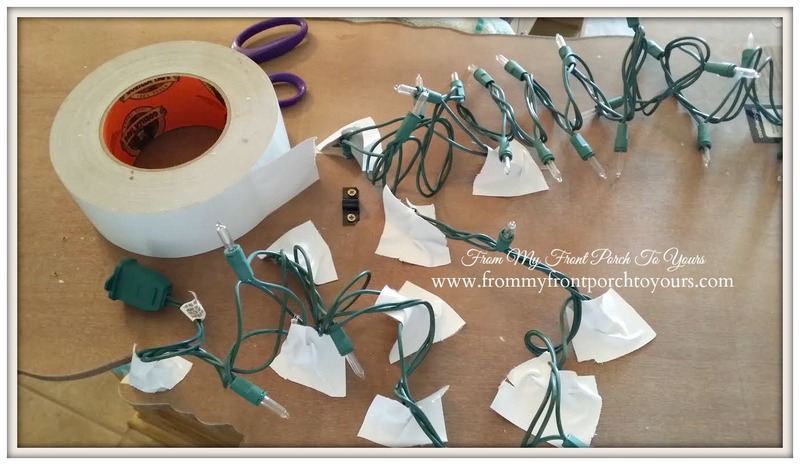 I ended up having approximately one light in between each light when inserted into the holes. Since some of the lights were a little wobbly I used my Gorilla tape and secured the lights on the back of the cutout. After that I reattached the stand. 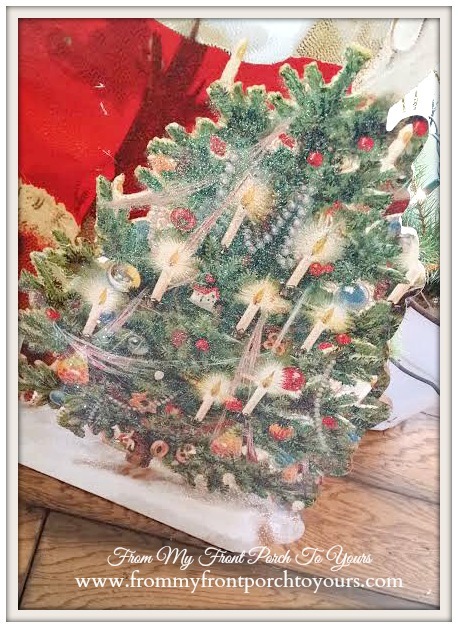 With a few easy steps I was able to add some unexpected Christmas magic to this Vintage Santa Cutout. 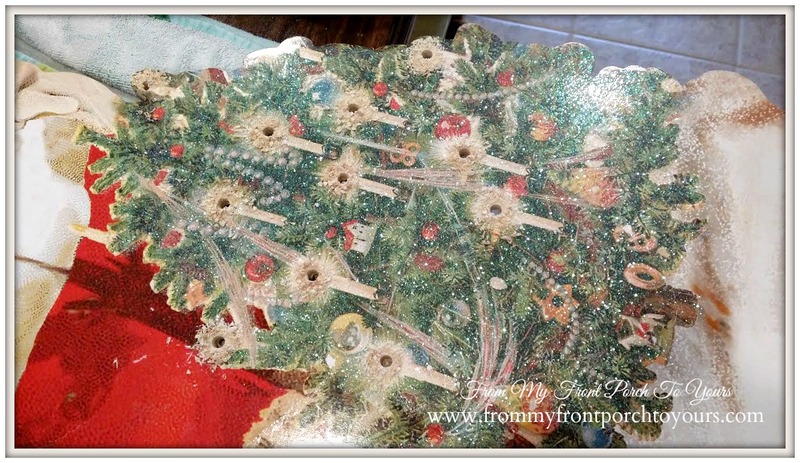 He will be a wonderful new addition to our Christmas front porch this year! Wow ! He is so fabulous ! Love the addition of your lights ! Ahhh-Maaaz-Ing!!!! I love it! This is one of the greatest Christmas decorations I have ever seen! (Heart melt). The lights really made it so much more special! I saw him too last month and thought what a great Santa he is. All vintage and everything. You Rock him out Girl this is great with the lights. Love it even more. Oh now he is one CUTIE!!! He is fabulous! What a great idea adding the lights. Oh my gosh! 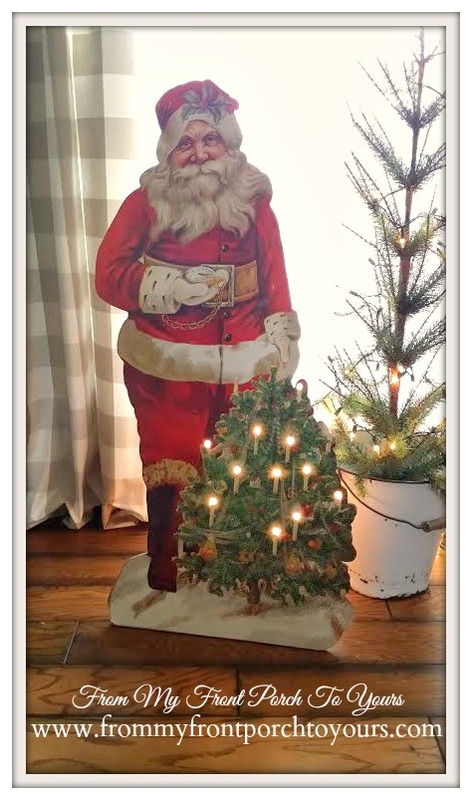 I just adore your vintage Santa cutout and you made him so much better by adding the lights! How clever!! He will be a nice addition to any house for Christmas! Just love your idea Pamela...the Santa is fantastic! Pamela! Antique Farmhouse is on of my fave websites...I have such a weakness for their things, You can find them everywhere in my home!! I love this Santa! And you did a great thing adding those lights...very clever of you!! Pamela....he is going to look fabulous on my front porch.....seriously though, this is so darn cute and unique! That is the most brilliant idea, EVER! What a fabulous idea. Real wow factor. You did a wonderful job. Enjoy your Santa! i love this! 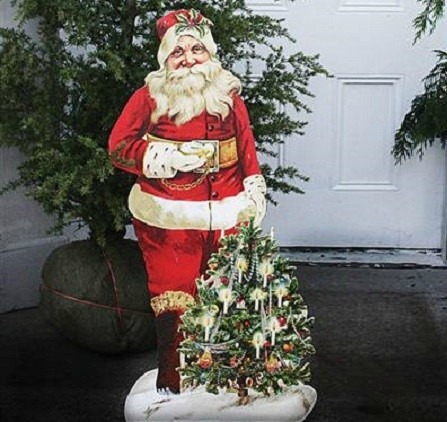 what a great way to make this fabulous vintage santa even better! 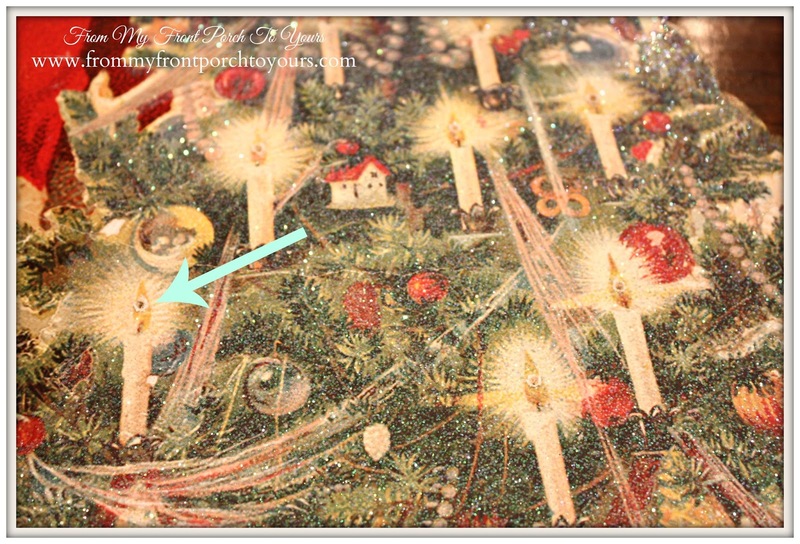 thganks for stopping by my blog & leaving a comment. Love that you added the lights. He is wonderful! Great job! Oh my word, how fabulous is he. Love it. Thanks tons for linking to Inspire Me. Well, look at how smart and creative you are. That is just too cute! Pamela he's a beauty and I love how you added the lights!! What a great find! I would have grabbed him too! 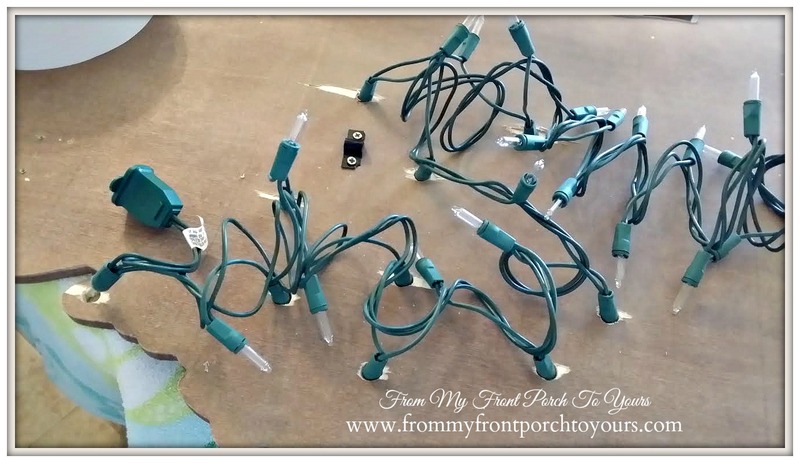 Your addition of the lights is right on! Perfect! Fun new addition to Christmas.